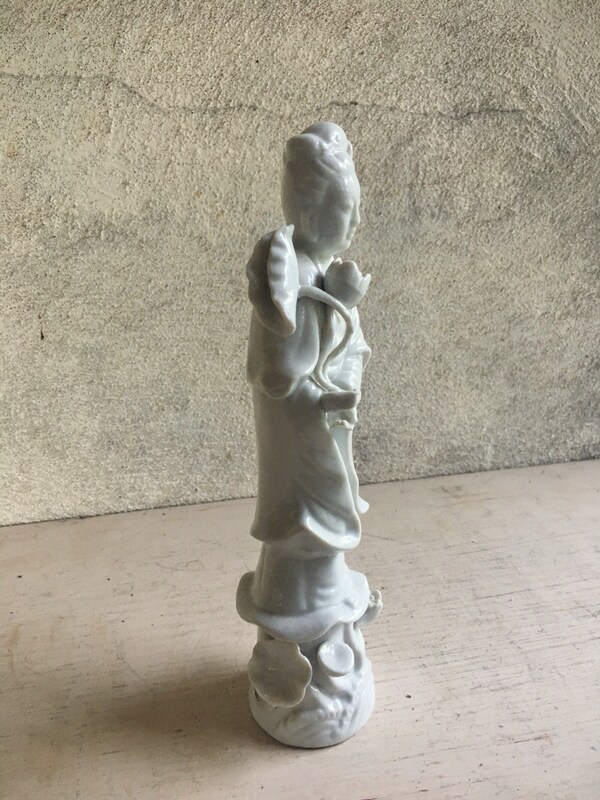 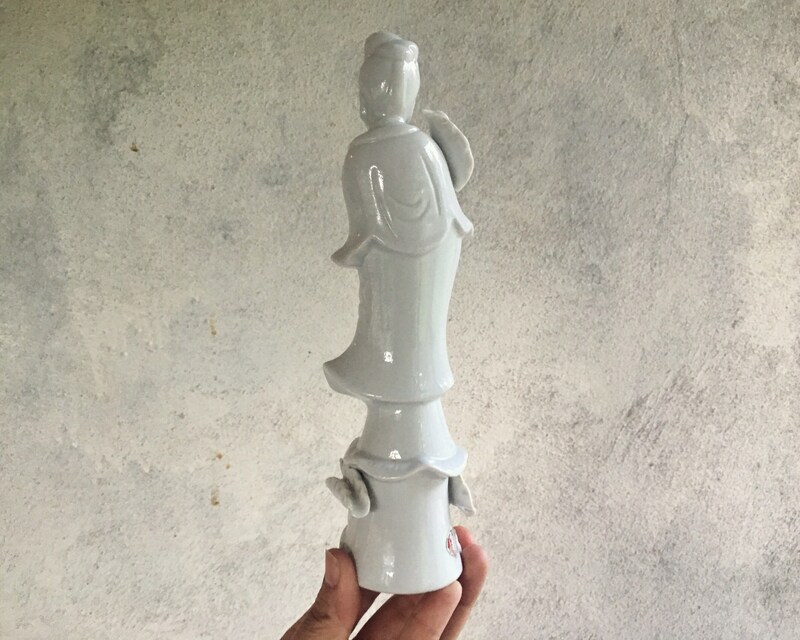 This porcelain statue of Guan Yin (Kuan Yin, Quan Yin), goddess of mercy and compassion, is simple and lovely, all in glazed porcelain, the original red and silver foil sticker still attached although the lettering worn down and illegible. 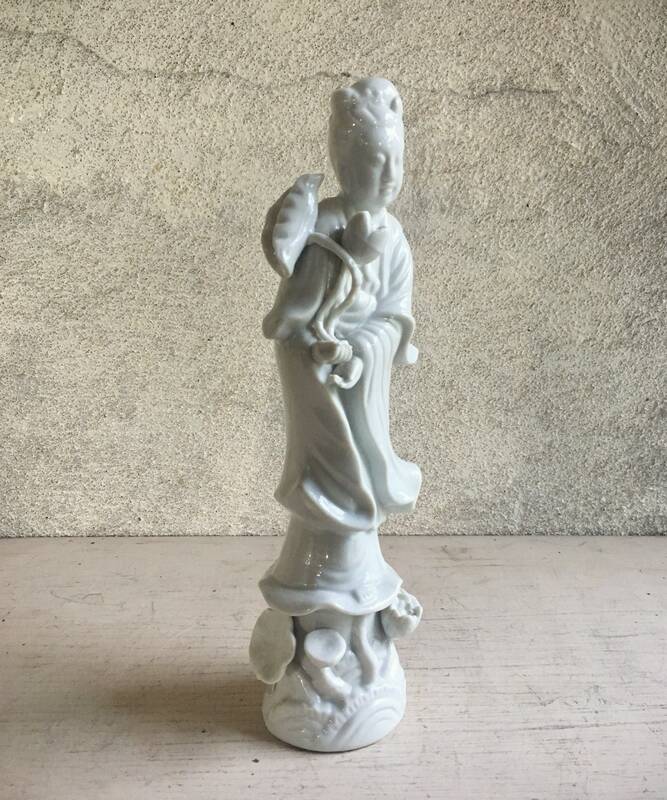 Amazingly, even though she has many thin edges, she is intact with only small nibbles here and there, and really no major damage at all. 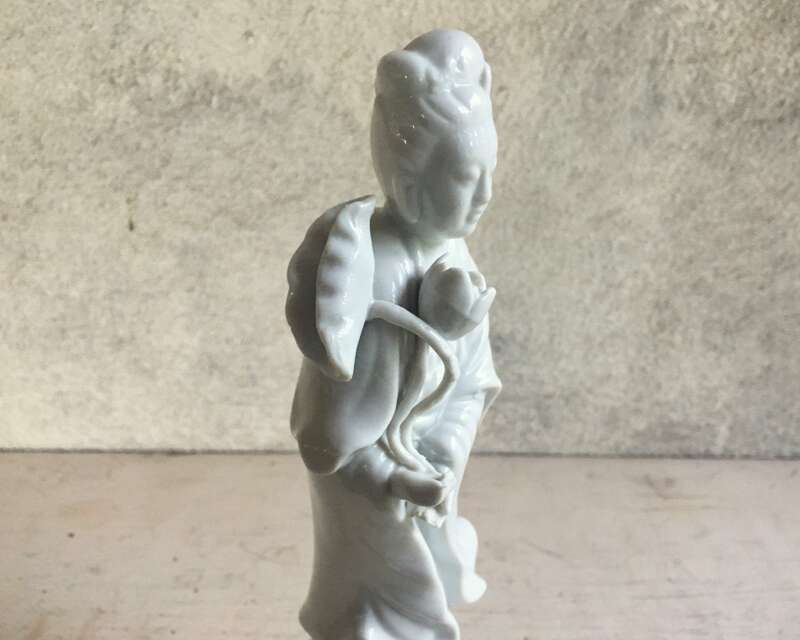 She is said to see the suffering of others and that through her ability to forgive she "helps us to transform the muddy roots of our pain into the beautiful flowering petals of her lotus flower...her sacred duty is to relieve suffering and encourage enlightenment among humans." 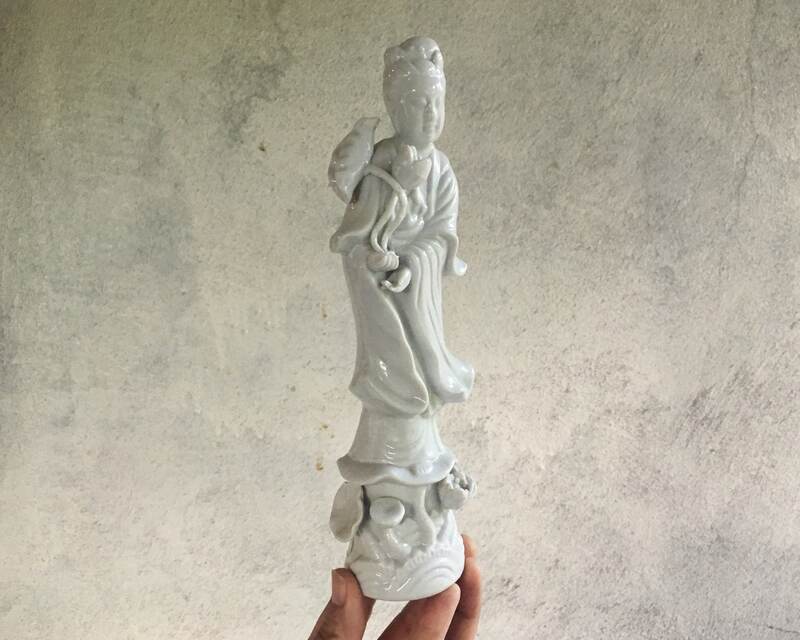 The figurine measures just under 9" tall and the base about 2" in diameter. 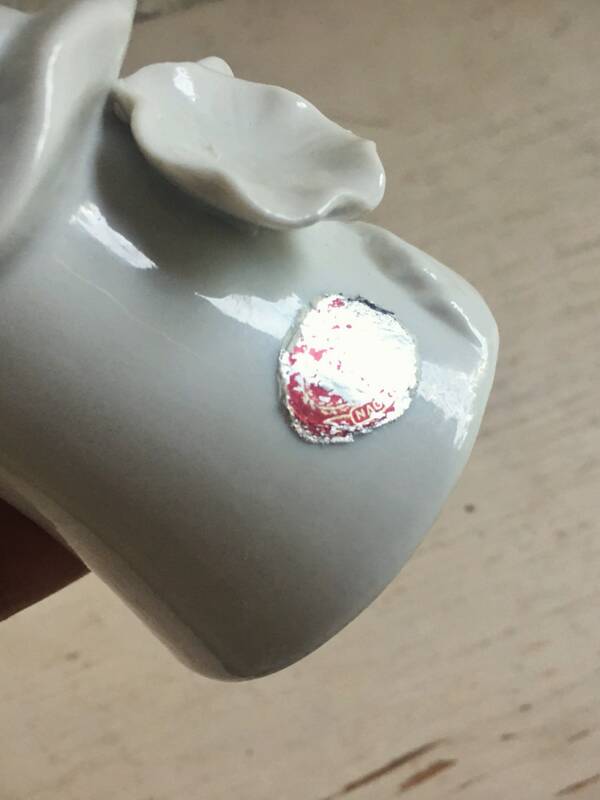 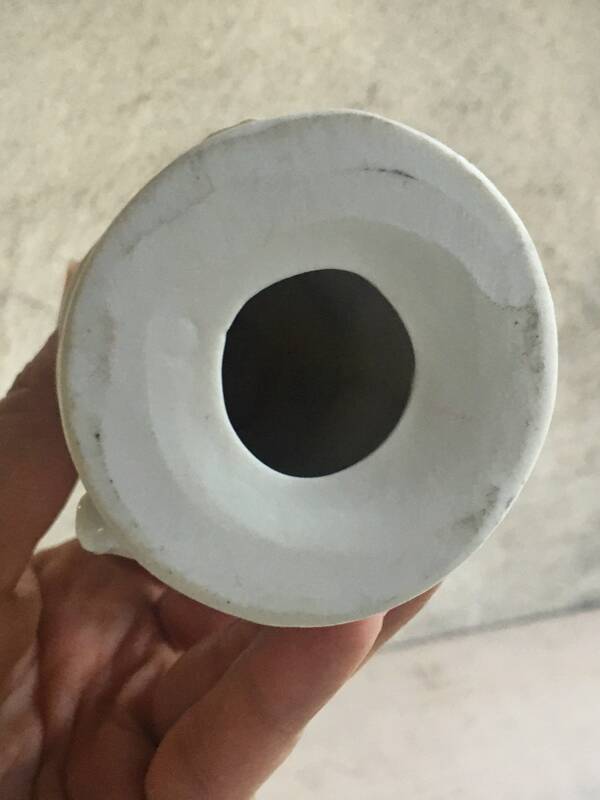 There are some glaze bubbles on the porcelain; no chips or cracks. 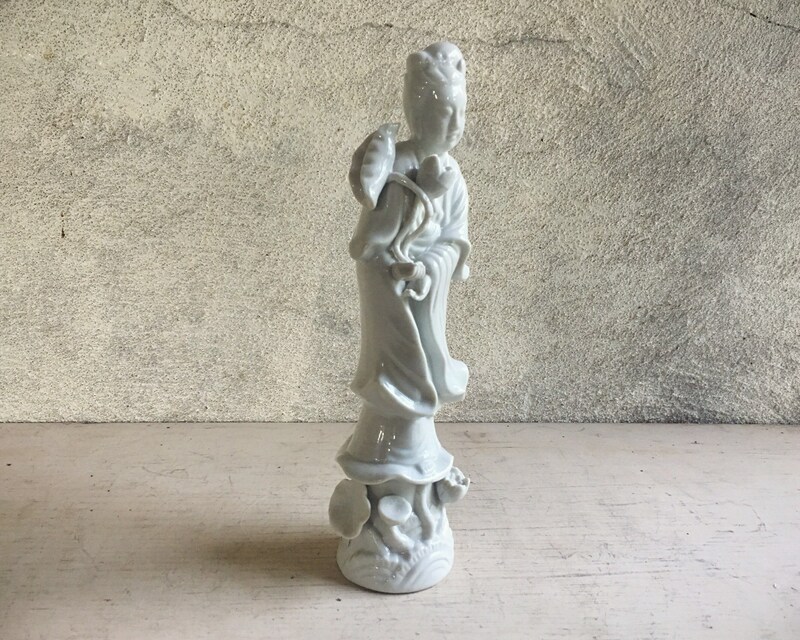 A lovely piece, for your altar or simply to enjoy.